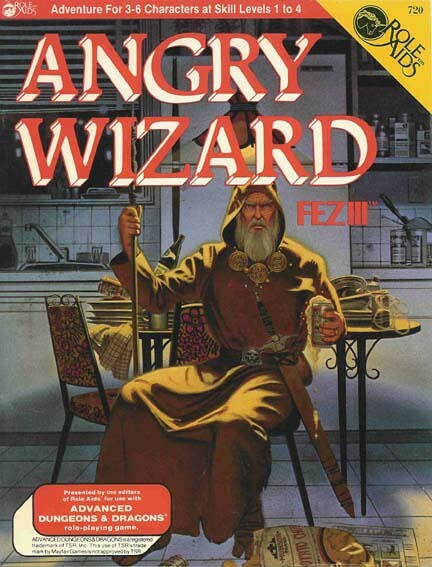 “A Gem Fit for a Queen” was renamed “Angry Wizard” for the Mayfair Games Role-Aids release. Scarsnout the ancient red dragon will soon wake from his 100 year sleep. Fez needs a huge flawless gem in which to encase the dragon’s head to keep him from rampaging throughout the Valley of Trees. Can you recover the Queen’s Gem from a pyramid submerged in the Life River? This was the year when Len Bland first coined the term NASCRAG.